I am hiring 4 designers this year, approximately 1 per quarter. Therefore, I’ve been reviewing dozens of portfolios. I spend a little more time than average on them, because when I was looking for new jobs, I hoped hiring managers gave my work more than a cursory glance. Unfortunately, most design websites are fairly poor. Here is some advice for presenting yourself well and also for getting better as a designer. Download Free Trials of each tool and learn to use them. In the learning, make sure to take screenshots and document what you learned and what you thought of the tool. Pros and cons, interesting approaches, and anything else you find. Show in the page that you are thoughtful, observant, and have a point of view about this crucial part of the job. Not everyone reads your “About” pages, but I do. If this page is interesting and engaging, I am at least 2x as likely to send you to the next round. (Round 1: Video call; Round 2: Design Team Interview; Round 3: Everyone else) For example: Look at this Illustration on one candidates site. 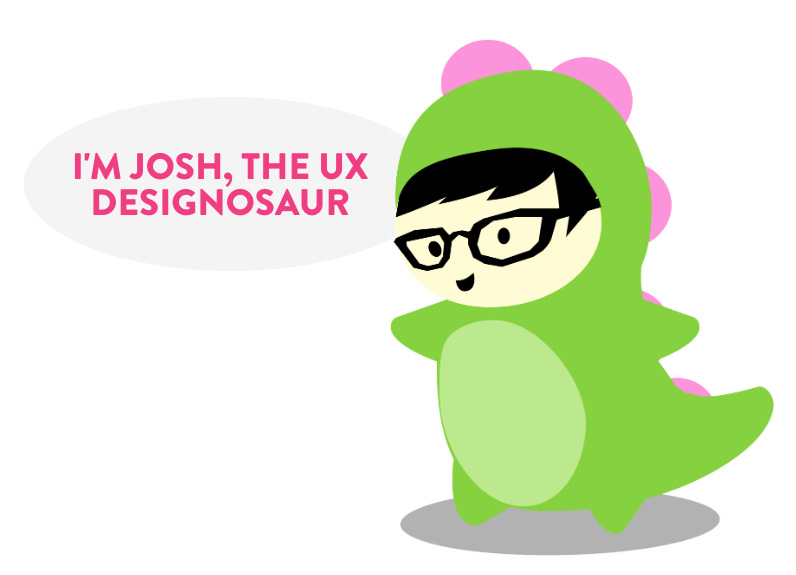 The site was OK, but I’m going to speak with him primarily because of that illustration. It’s not even a perfect drawing, but it shows creativity, personality, and cleverness. Again, you don’t need to be an expert, but demonstrating some technical knowledge goes a long way. Have one or more pages on your site explaining how much you know. For the love of God, do not make your portfolio a PDF. A giant long page of unnavigable jumble is a terrible experience for me. Also, don’t combine mobile, B2B, websites, and industrial design into one big thing. Personally, I am 95% interested in enterprise application design. Also, in your case studies, put some navigation on there. Why is it a good idea to have a giant long scrolling page?? I am not spending an hour reading your site. I am literally there for under 5 minutes, often under 1 minute. Make it easier for me! The thing that bugs me more than anything else is that designers do not DESIGN their websites. They pick a theme and jam in a bunch of content without once thinking about the hiring manager’s experience. You are a designer, give your website the same treatment you will give projects at work. When you apply, write a simple cover letter. Many people do not read them, but I do. Don’t make it too long, but have a point of view. Different design jobs are different. I promise to stand out in a positive way to you, if you promise to do the same for me. I will meet you halfway. I look forward to reviewing your site. Thank you for the advice, it’s very helpful.